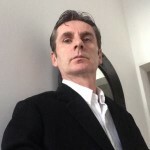 This week we have interviewed veteran self-employed sales agent Geremy O’Mahony after he signed up to be notified as soon as CommissionCrowd launches. Geremy has over 20 very interesting and successful years of sales experience under his belt, including having worked with a number of famous musicians and C-Level executives. He is currently looking for interesting new sales opportunities so if you would like to drop him a line we have included his contact details at the end of the interview. My professional sales career began 20+ years ago in the world of Tele-Sales within the Music industry. My job was to sell new recordings to store owners and when customers bought from those shops, those sales then registered to form the Official UK Chart position. Moby, Take That, Right Said Fred, John Martyn, The Fall, and Technotronic are just a handful of the artists I have represented. You’ll be pleased to know that I even played a role in helping one Mr. Blobby reach the number one spot in 1993 (something I’m ashamed to admit to musically) but was very happy to bank the double weeks pay Xmas bonus commissions! That’s certainly very different! Can you tell us more about the companies you sold to? Due to consistent high levels of sales I was eventually promoted to National Accounts Sales Manager. This meant scheduling appointments at the headquarters of Multiple Retailers – Virgin, HMV, WH Smiths and Woolworths to name a few. This was a great opportunity as I now had direct access to the decision makers who had the power to place bulk orders. The challenge was that they were only really interested in real chart contenders which meant my sales skills were really put to the test. What was your greatest sales success during this period? Later in my music sales career I started promoting and selling records to BBC Radio 1 which meant those records achieved maximum radio play. I also sold the artist’s accompanying Music videos to MTV. Silence by Delerium featuring Sarah MacLachlan was my biggest success as I managed to help it onto the Radio stations 'A list’ which meant the recording achieved maximum radio play. This particular single reached Number 2 in the UK and No 1 in Ireland’s Music charts. Infact it still sells and is played today! I gained a lot of experience in Sales & Marketing for both record and distribution companies. I was eventually approached by a company who expressed a desire to partner with me as a self-employed sales agent after they heard about my prior sales successes and learned of my reputation within the industry. I am a confident self-starter and highly self motivated meaning that this was the perfect opportunity for me to start providing sales as a service and partnering with great companies. It all began as a happy accident truthfully, and since then i’ve never looked back. My proudest achievement in sales has to be selling Software to the Apple Store UK & Europe on behalf of my client who was only in its 2nd year of trading. I then went on to open the door and negotiate a deal with SONY Software USA for the same client. I believe that there are two simple traits that successful self-employed sales people must possess in order to be successful. Those two things are FEAR & DESIRE. This is fundamentally true for any business owner and entrepreneur who have broken away from the constraints of employment and set up in business for themselves. No sales means no wages whereas employees are on the payroll. The difference being that self-employment means much greater rewards in the long run for those who are successful. In your experience what would you say makes a commission-only sales opportunity attractive to a self-employed sales agent? It’s important for me to be able to quickly identify opportunities within companies where I can open up sales channels and add value. My approach is always about how can we sell more! I also look to partner with innovative and forward thinking companies with an expert knowledge of their products and services. They must be flexible to discuss and experiment with innovative thinking, strategies and promotions, and take my suggestions onboard. Essentially I wish to be treated more like a business partner than an employee. Communication is still the most important aspect of a successful relationship between the sales agent and company principal. As my sales services are provided on a commission based model and a lot of preparation work has to be carried out in advance getting paid, mutual respect, trust and loyalty are also top priorities. As you know, CommissionCrowd aims to change the world of freelance commission-only sales forever. Can you tell us which aspects of ‘CommissionCrowd’ you are looking forward to the most? I think CommissionCrowd is a fantastic idea and much needed resource for independent sales agents. I am looking forward to not only finding interesting new opportunities, but to actually working with Companies and products I never thought I would be exposed to. I am especially looking forward to your host of collaborative management tools which will help me keep on top of my sales pipeline and work efficiently with the companies I choose to work with. I also plan to use CommissionCrowd to find complimentary product/service lines that will mesh with my existing networks. This will not only save me time and resources, but will increase my productivity and ultimately my bottom line. I am looking to work with small to medium sized companies that believe in the power of outsourcing the sales function, expanding their sales team and increasing their profile in the global marketplace. From the kitchen table to the high street shelves, if a product has potential I will provide the route to market. If I believe in the merit of a product I always make sure I work exceptionally hard. I make it my mission to reach the appropriate decision makers & then broker a deal satisfactory to all parties. I feel that my sales skills and experience are transferrable to different sectors and what really excites me is selling something I know little about initially but can taste & feel the potential in. I am currently open to hearing from companies in a variety of industries. Thank you very much for your time Geremy.